If you’re going to be a top PS4 player, you’re going to need to get yourself a dope controller, too. Right now you can get one of the best looking DualShock 4 controllers for just $47. While we of course jest – alas, the color of your controller has absolutely no bearing on your gaming competency – there is absolutely something to be said for using a great looking controller while you’re playing your favorite game. Whether you’re racking up kills in Fortnite or ruling roost in Call of Duty, colorful controllers make everything so much fun! There are of course some pretty gaudy controllers to be had, presumably designed by people with one eye closed after consuming their own body weight in alcohol. But there are some pretty sweet ones too, and we’d put this Midnight Blue one firmly in the laltter category. It’s a lovely shade of blue without being over-the-top, and the finish just makes it look like a million dollars. Normally you’d expect to spend as much as $65 to get into one of the Mighnight Blue DualShock 4 controllers, but right now? Not so much. As is so often the case with these deals, we don’t know how long you’ll be able to take advantage of this deal for. 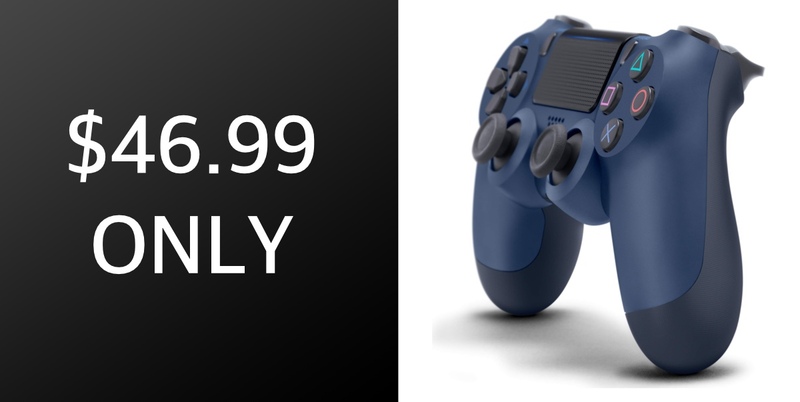 If you’re in need of a new PS4 controller for a spot of split-screen multiplayer, or just want to up your game with something a little more suited to your personal taste than the standard color that came with your console, now is the time to buy.